I have been breastfeeding exclusively for 6 months now- YAY! 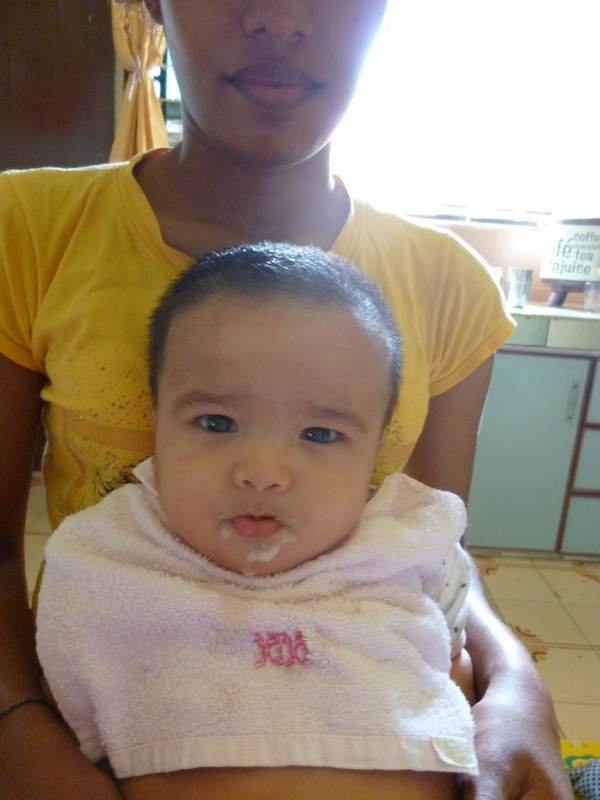 And the time has come for Svadhi to have her first taste of solid food. I relied on my maternal instinct in deciding when she’s ready for solid food – for the past few weeks, I noticed her watching me closely and salivating as I eat. I am an advocate of preparing fresh wholesome natural food from scratch- and that’s what I am dedicated to feeding my baby. I find it crucial to train the baby’s palate to enjoy healthy foods in their most natural forms – it’s all about training the taste buds from an early age. I was debating whether to introduce brown rice cereal or sweet potato puree as her first food. Finally, I resorted to brown rice cereal in order to introduce to her the flavor of whole grains – to take her out of the zone of the naturally sweet breast milk. I made a puree of brown rice and mixed it with breast milk to get a thin consistency. 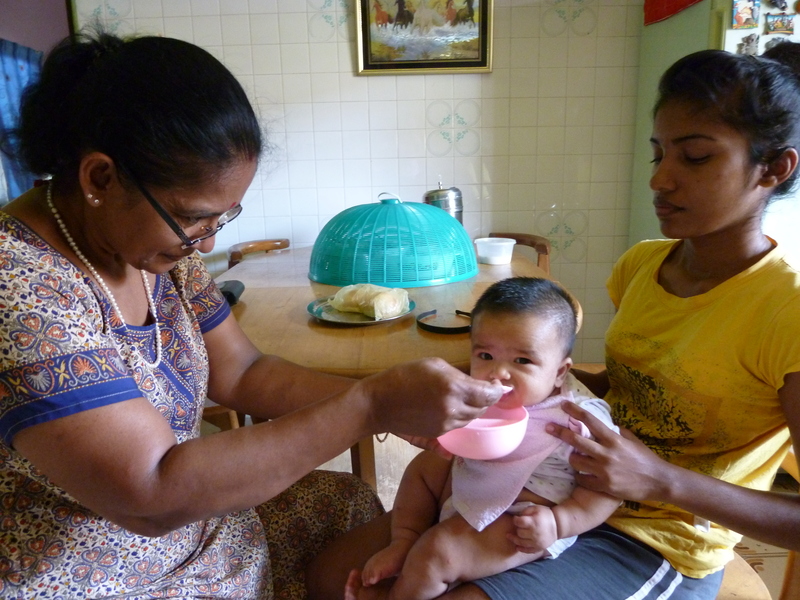 Svadhi was so eager to have her first taste of solid food. I was glad she took it well. It is advised to introduce single food one at a time for a consecutive period of 3-5 days to rule out any allergic reactions. After the first 2 to 3 weeks of eating single foods, you can start to combine your baby’s “safe” foods for more flavor variety and interest. This entry was posted in SVADHI ELEESHA, WHOLESOME NATURAL BABY FOOD. Bookmark the permalink.